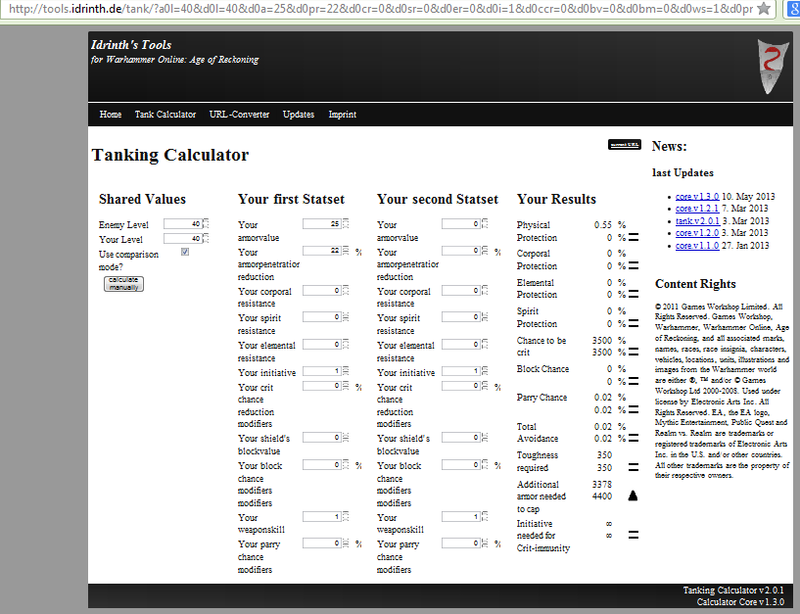 Tonight I updated a few parts of the “Toolbox“, that only contains the tanking calculator so far. I hope I didn’t overlook any bugs, but out of obvious reasons, I can not guarantee that. Should any of you stumble upon one of those, just drop me a note and I’ll remove them as fast as possible. The next two parts, that I’m already working on, are the combat calculator for pvp and a tool to calculate the influence of cast time and cool down time modificators on a given rotation. But most likely I’ll need to start with something else. 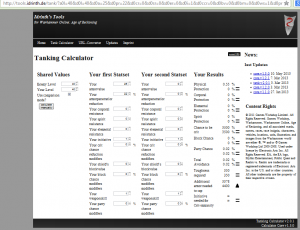 Werit is going to turn off the mastery and renown planers, and except for me, there doesn’t seem to be anyone left, who would bother rewriting or continuing something like that – or any tools for WAR for that matter.